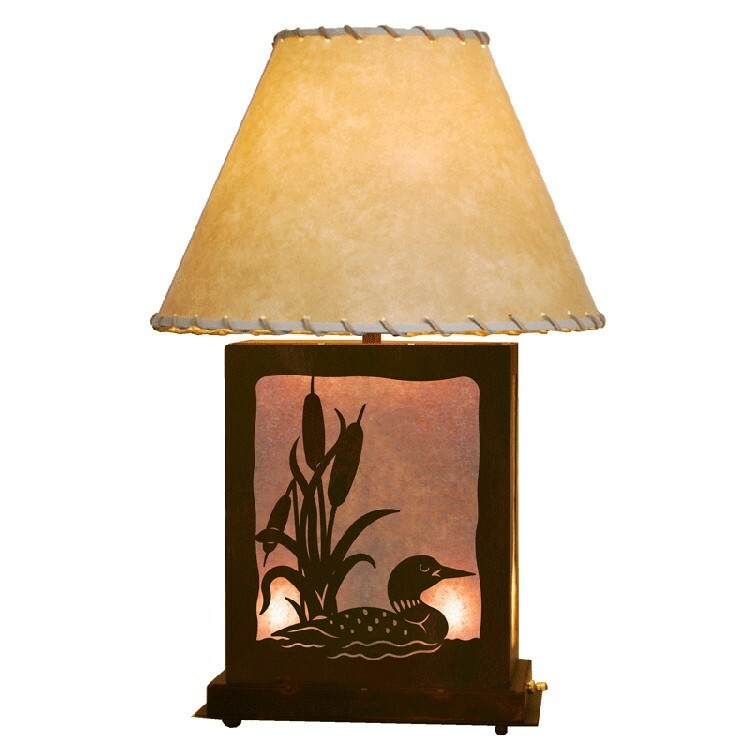 The popular common loon remains one of the icons of the north woods and is depicted on this Scenic Loon Table Lamp floating along gracefully among the cattails. The rust patina base features white mica behind the skillfully crafted metal cutout. The base features a nightlight that provides ambiance. The laced parchment shade is included.